The Premier Makeup Course is for students who want to take their skills to the next level, and become a professional makeup artist. In this course you will learn everything from introductory makeup artistry to advanced makeup artistry, airbrush makeup and more! 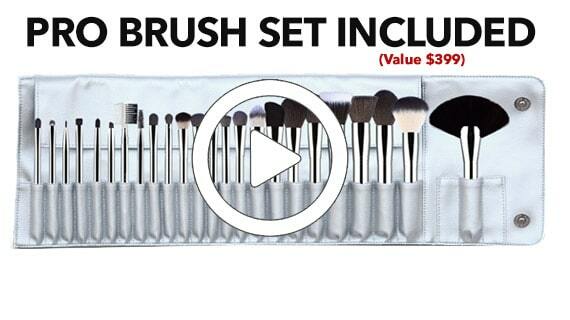 In this makeup course you will also receive the 24 PC Pro Brush Set. With so much value in the products you will be receiving, this course pays for itself! Are you seeking for the best and professional makeup classes? Searching for professional makeup classes is not an easy thing although there are several makeup schools that offer professional makeup classes. Some students tend to get confused when choosing best and professional makeup classes because of several choices. It is essential that you choose the best makeup school so that you’ll get best makeup training and classes. It would be great if you’ll choose a globally acknowledged makeup school so that you’ll be an efficient makeup artist as well. One of the leading makeup courses offered in the country that offers professional makeup classes is VIZIO Makeup Academy. VIZIO Makeup Academy is a globally acclaimed makeup school in the country. Most of professional and successful makeup artists graduated at VIZIO Makeup Academy that’s why this makeup school successfully acquired recognition and positive reviews from different parts of the world. Overview on Premier Makeup Artistry Course. 1. 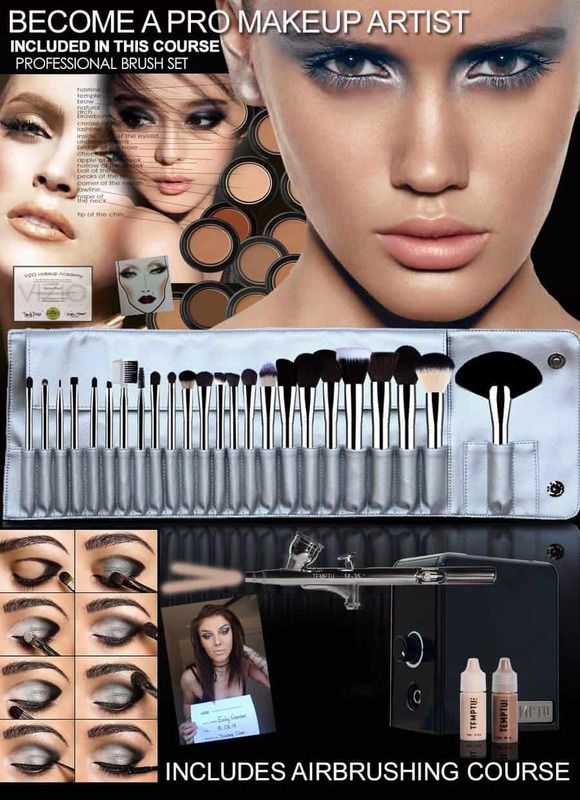 By means of enrolling on Premier Makeup Course, you are entitled to acquire a pro makeup kit. With Premier Makeup Artistry Course, you’ll learn new things and you can get tools so that you can effectively learn things that you've learned. 2. Classes of Premier Makeup Course are flexible and suit to student’s schedule. 3. You can get access to the course for one year. 4. Students are entitled to get ebook which is a student edition. By means of enrolling at Premier Makeup Artistry Course, you learn makeup artistry from its fundamentals up to its advanced level. 5. You learn almost everything about makeup artistry. 6. You can get 20 pieces of brush set that you can use. 7. You’ll learn more about Face Charts, Contour, Highlight & Blend, Face Structure, Goddess Runway Makeup, Classic Natural Makeup, Sultry Smokey Makeup, 80's Glam Makeup Sterling Editorial Makeup, Men's Photography Makeup, Hollywood Celebrity Makeup, Vavoom Vintage Makeup, Cleopatra Cat Eye Makeup and many more. Widen your knowledge and your educational background regarding on makeup artistry so that you will remain to be the most efficient makeup artist in your area. The Premier Makeup Artistry Course of VIZIO Makeup Academy is a great way so that you can optimize your capacity to provide excellent makeup output to your clients. So, if you are interested to enroll at VIZIO Makeup Academy then you must not hesitate to contact VIZIO Makeup Academy.